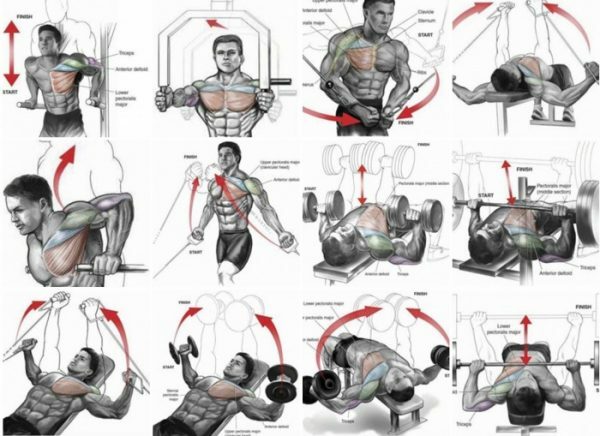 he upper chest area can be one of the most stubborn to grow and has been the source of frustration for many advanced bodybuilders and novices alike. Luckily, every problem has its solution, and it’s up to you to learn from their mistakes and successes! So how can you target your upper pecs with perfect precision and maximum effectiveness? With these 8 upper chest-sculpting tips and incorporating them into your workout. 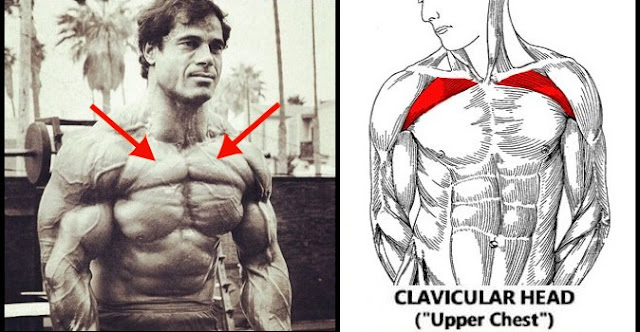 The secret to building your upper chest is not in the amount of weight you can press, as Arnold Schwarzenegger as the owner of one of the greatest, fullest chests of all time himself could rightfully tell you. Instead, it’s in working your upper chest fibers as directly as possible. If you want to develop your chest to its full potential, you need to train each part of it in a rather dedicated and meticulous way with specific exercises that emphasise adequate portions of the muscle. You’ll have to make sure to concentrate on all areas equally, with the upper pecs being the exception. When it comes to this, you will need all the training wisdom, patience and bravery you can muster. But if you work them as hard as possible in the way they were designed to perform and do it often enough, you too can end up with an iconic chest of your own. The following 8 tips give you the much needed guidance in the process of sculpting the best upper chest possible, so be sure to add them to your chest-building action plan! As a rule, you should always hit your weakest body area first, while you’re still fresh and optimally motivated to hammer it with all you’ve got. If upper pecs are giving you the hardship, make them a priority in your routine and train them as hard as you can. Some people believe that you should save the weakest link for the end of the workout because by then the surrounding muscles will already be fatigued thus leaving room for proper exhaustion of the target muscle, but this is not how things work. In practice, by the time you get to focus on your upper pecs, you’ll be less than able to give them all they need. As with anything else in life, every bodybuilding technique or equipment has its own specific advantages and disadvantages and it’s on you to make the most use of the proven benefits of every tool available. While barbells allow you to hit the chest with some seriously heavy weight, dumbbells provide an opportunity to work each side separately and fix any existing muscle imbalances (which are often painfully and ridiculously visible) as well as train crucial stabilising muscles. If you’re looking for unstoppable progress, alternate between dumbbells and barbells week-to-week. Arnold would focus all of his attention to figuratively “become” the muscle he wanted to target so that he could maximise the muscle damage caused and get bigger gains than he would by just mindlessly going through the motion, and he especially stressed the importance of this method in terms of chest training. Muscles grow after being placed under direct, intense stress with appropriate duration, and developing that mind-muscle connection is one of the most effective ways to do just that. Warm up properly before the working sets and perform each rep with perfect form to enhance the benefits and keep your shoulders safe. When you lock out, the triceps are called into play and the tension on the upper chest is diminished. If you don’t want this to happen, whenever you press a weight up, stop right before lock out to keep that muscle-building tension right where you want it to be. When you develop the mind-muscle connection we discussed above, you should be able to notice the moment when your tri’s get activated, ‘stealing’ the work from the upper pecs, which is your cue to start slowly lowering the weight back down. In time, you’ll figure out the optimal length of the movement and this will help you maximise your upper chest gains. Adjustable benches are the great for chest training, as they allow you to work on your chest from multiple angles on every session. Critics of the standard incline bench often complain that the high angle leads to unwanted delt involvement and they are right about that. With the adjustable benches, however, you are able to lower the incline bench without going flat, and use this low angle to better target your upper pecs while minimising the assistance from the front delts. Incorporate different angles on both your dumbbell and barbell work and you’ll be more than pleased with the results. Incline cable flies are awesome for chest development and might be exactly the chest-expanding move you’ve been looking for so long. The use of cables gives you the great advantage of better isolating the target muscle (due to the fixed path of travel) and keeping it under constant tension. Since more tension equals to more muscle damage, this will ultimately push your upper pecs to grow bigger and meaner. Do every rep with proper form and get a good stretch at the bottom and flex your pecs as hard as you can at the top. If you thought that decline is good for lower pec activation only, it’s true to some extent. Decline is the most effective angle for training the entire chest area, including its upper fibres. 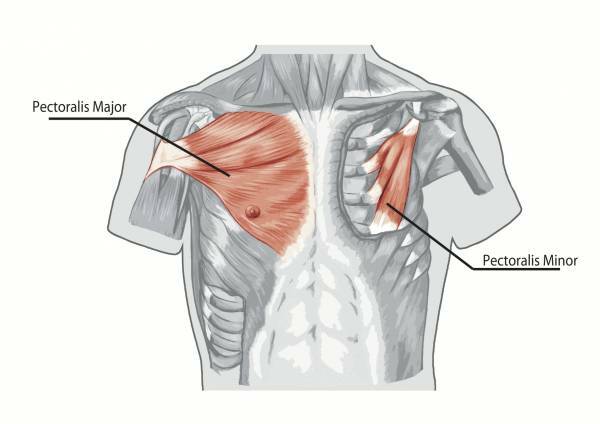 Just like any other body part, the chest requires a diversity of stimuli in order to be maximally developed and alternating between incline and decline can help you give it intense stimulation for better overall growth. To further increase the tension on your upper pecs, employ a closer grip and make sure to lower the bar to the bottom of the pecs on every rep.
Only while you do push-ups, though. As you push yourself up, make sure to also raise your feet, as this will increase the challenge by shifting the bodyweight and emphasising upper body involvement. Introduce the growth-promotion of elevated push-ups into your routine: just place your feet on a bench or a box and push. Now let’s see how you can combine these tips into a powerful upper chest routine. For the incline press, you’ll perform 2 warm-up sets before doing the real work, and then allow yourself no more than 60 seconds of rest between each set. For best results, vary the stimuli placed on the upper pecs. How? Simply alternate starting with dumbbells and barbells. Also, remember to stretch the chest in between sets. This helps expand the fascia that surrounds the muscle fibres, allowing more blood to flow into the area and giving your workout the edge it needs.